ClouDoc Effects: How do you feel about Cloudoc after using it in your company? How do you feel about Cloudoc after using it in your company? Selection of a proper solution for the purpose of the introduction of document centralization. I wrote down opinions on how to select a document centralization solution from other articles in this blog. Consequently, if a solution can be extended to the whole company from the first, the second, the third, up to the fourth, a customer may feel free to select the solution. There is no business document in PC of the customer who has introduced ClouDoc. If PC is not workable due to software problems like physical disorder or malicious codes, you just need to replace it with another PC while resolving them. Who likes Cloudoc most? It is natural that corporate owners or management like it most. Because data dispersed in PC for the past time is accumulated in the center. In modern companies, documents are properties themselves. 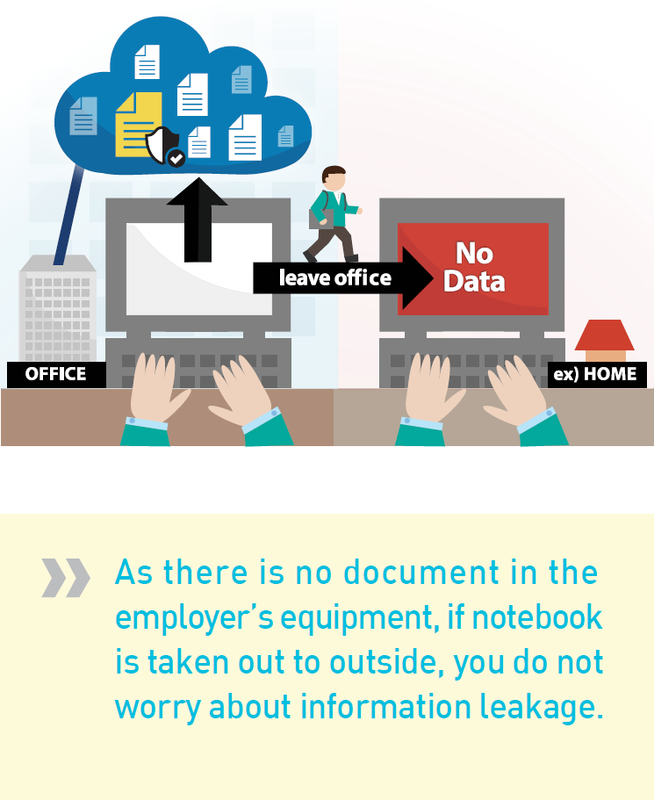 If an employee of the company with document centralization left the office with a notebook, what would happen? Are office documents, CAD drawings, or program source codes in the notebook? As you may know, this kind of information leakage can be prevented in the company with ClouDoc. Note) However, for a person who needs to work at home, a separate, safe function is arranged. <Picture> What would happen if an employee in the company under document centralization system left the office with a notebook? Consequently, 100% documents at maximum in all PCs can be stored in the center in the customer who has introduced ClouDoc. These stored documents are kept safely by several strong protective functions. Note) The left picture below illustrates an example of the introduction of an fledgling stage of document centralization solution, while the right picture illustrates an example of the introduction of ClouDoc. 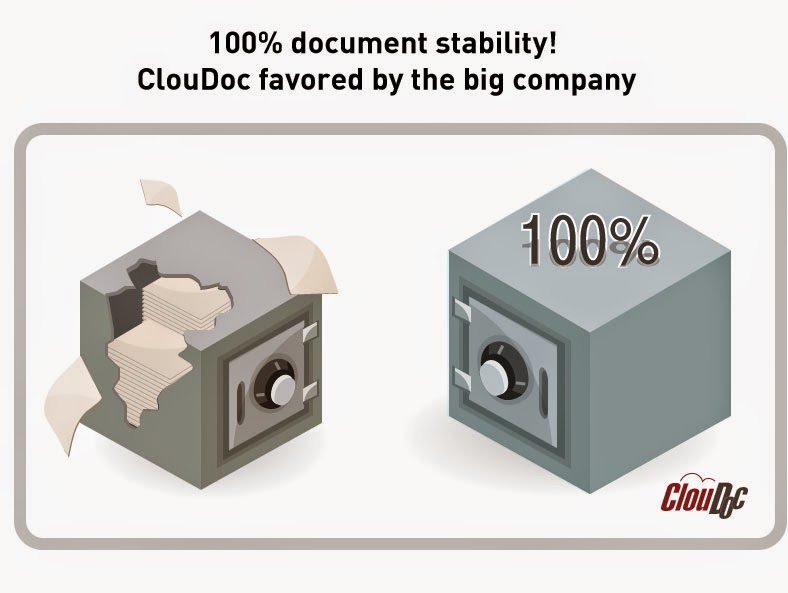 <Picture> ClouDoc document centralization like a solid safe! Don’t you agree that documents stored and protected in the center can be led to productivity improvement and sales increase of your business? <Picture>Accumulating documents are like money. Build a happy company free from cash flow worries with document centralization!